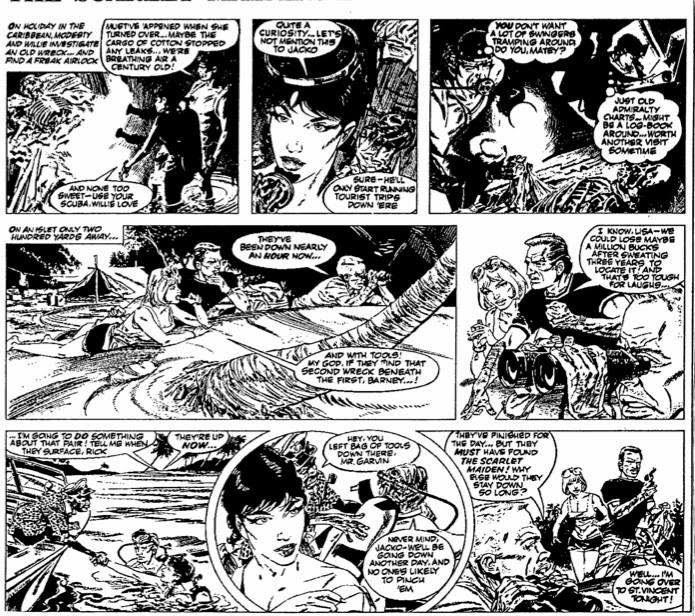 This post features some Modesty Blaise odds and ends. 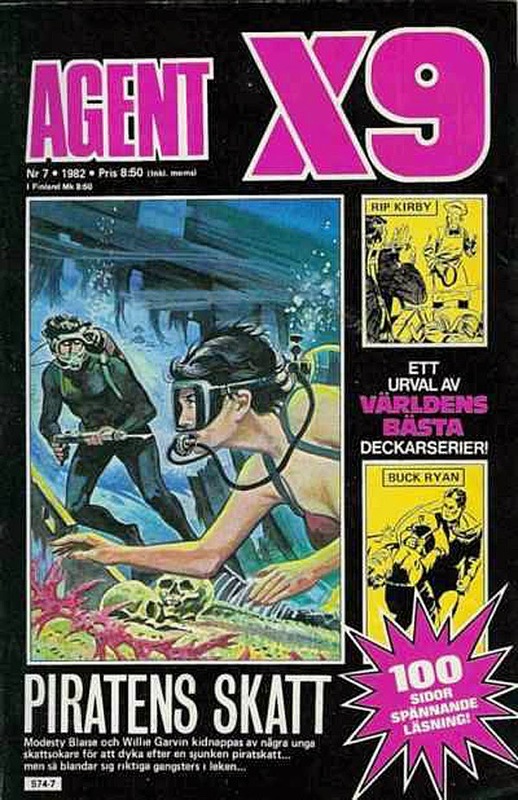 Also from The Scarlet Maiden is this 1982 cover from the long-running Swedish publication Agent X9 (originally X9) which is also published in a Norwegian edition. 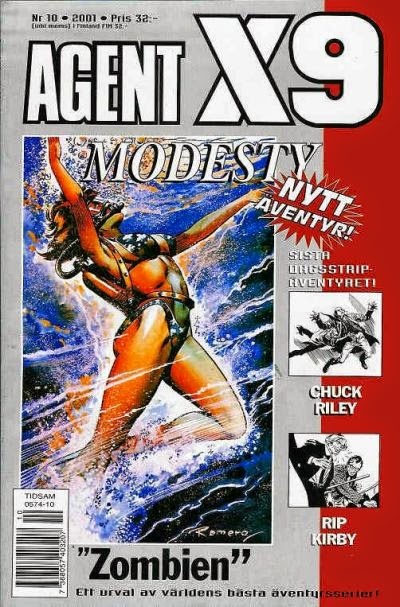 The magazine, which has a long history of reprinting Modesty Blaise strips, takes its name from the American newspaper strip Secret Agent X-9 (later renamed Secret Agent Corrigan). 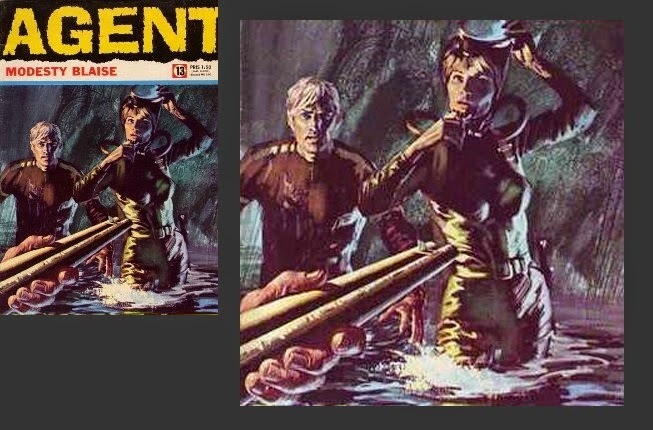 This 2001 cover by Enric Romero is from the final Modesty Blaise strip story, The Zombie. Although it makes a striking cover it's a little misleading as Modesty is only seen diving in a couple of panels. The next cover is from 1968 and the story Bad Suki. 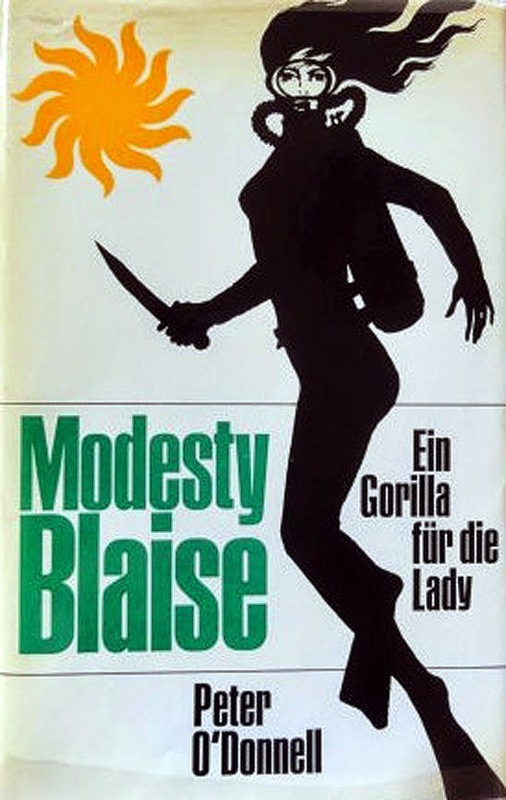 Finally, leaving the strips behind, we have this German cover from the fourth Modesty Blaise novel, A Taste for Death.